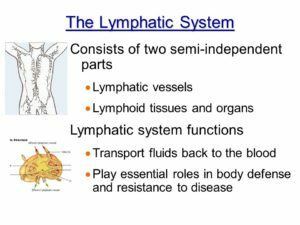 The lymphatic system, which is a complicated network of fluid filled lymphs, glands, organs and vessels, is rarely talked about, but so important. It’s basically the body’s garbage man or waste management, which in New York is really code word for mafia, but I digress. For patients who experience chronic problems, they might be a little more familiar with this slightly mysterious system. 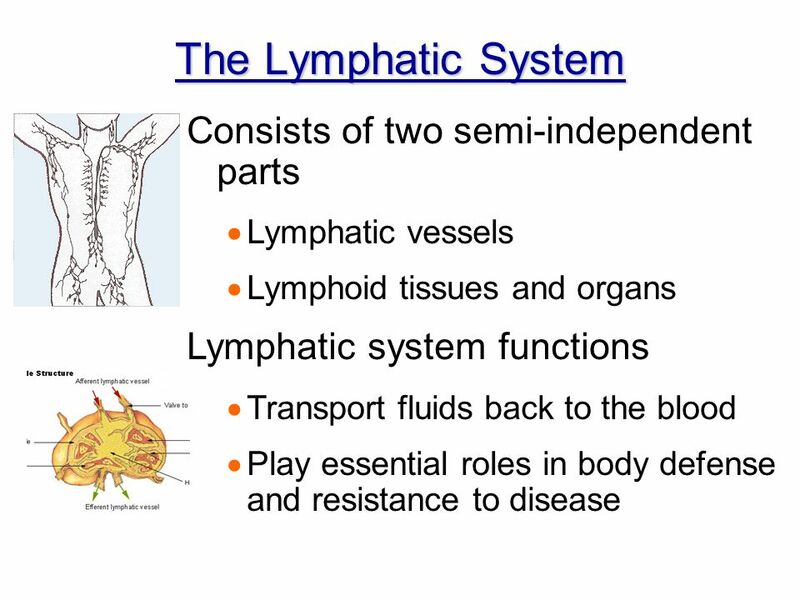 The lymphatic system’s main job is to get rid of toxins (internal and external) and protect the body against invasions. The largest lymphatic tissue in the body is the Spleen and plays a huge part in immune defense and red and white blood cells. 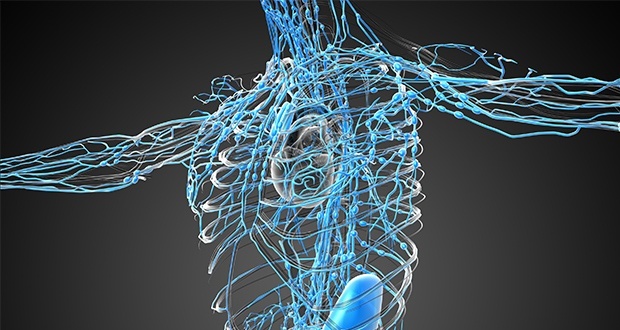 One of the interesting things about lymph is, unlike blood, there is no pump, it relies on relaxation and contraction of muscles and joints to move it, so the lymphatic system can get sluggish and easily stagnant. When it becomes overwhelmed, it can lead to impaired immunity, cellulite, edema, chronic pain, fatty deposits, sinusitis and upper respiratory issues. As you can see it’s super important to keep this system moving! Thanks to The Chalkboard, A Guide to Living Well, here’s some easy tips to keeping the garbage men happy! You knew this was coming, right? Acupuncture is incredible for moving and balancing the lymphatic system, it’s one of the only modalities that can focus directly on the Qi and blood of the Spleen, which is the largest lymphatic organ. 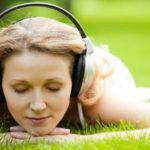 We also believe that stress plays a huge part in that potential stagnating energy of the lymphatic system, so acupuncture can also address stress in the whole body and the Qi flow of the liver as well. Remember there is no pump in the lymphatic system, so the body needs free flowing energy of Qi to transport those toxins. Acupuncture is your answer! Rebounding is one of the easiest ways to pump the lymph. Rebounding is the practice of jumping on a trampoline (yes, remember when we did this for fun!?) for ten to thirty minutes. This passively moves the lymph while stimulating the circulation of blood throughout the body. Numerous studies have proven its efficacy, and have even shown it to improve muscle tone. Lymph is about 95% water, making water essential for its health. Stay hydrated by drinking half your weight in ounces of water a day. Without adequate water, lymphatic fluid cannot flow properly. And one of the most common causes of lymph congestion is dehydration. Water, and only water, can adequately rehydrate the body, but if you want to expedite the process, add lemon to your water. Lemon is an alkaline fruit that helps to mineralize the body and lymph. Try sipping on warm lemon water throughout the day, but don’t forget your straw! This protects the teeth’s enamel from the lemon. Enzymes are produced by the body to break down food substances and to expedite countless metabolic processes. They are also utilized by the body to clear toxic-waste buildup in the lymph and blood, making their supplementation a key way to improve lymphatic health. Using proteolytic enzymes between meals can help to “digest” or breakdown organic debris in the circulatory and lymph systems, increasing lymphatic flow. They also help to ease the burden of allergy-like compounds, freeing the immune fractions traveling in the lymph system for other work. We all love a good massage, and here’s just one more reason why. Lymphatic massage is a special form of massage that specifically targets the flow of lymph in the body. It uses a specific amount of pressure and rhythmic circular movements to stimulate the lymph, encouraging its movement towards the heart for the drainage of fluid and waste. 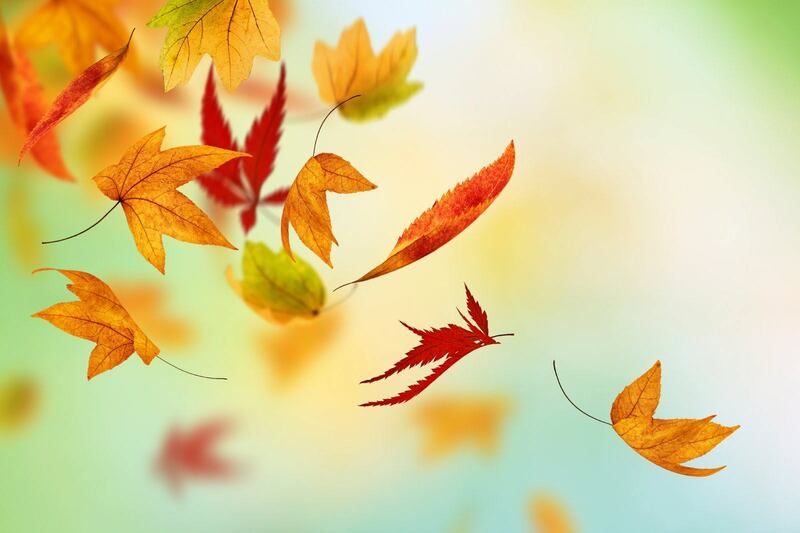 Lymphatic massage has shown in studies to push up to 78 percent of stagnant lymph back into circulation. This mobilizes toxins for clearance, lessening the burden on the lymphatic system. Many herbs have proven to be effective in improving lymphatic health, whether in their ability to increase lymphatic flow and drainage or in expediting the clearance of toxic substances. Red clover is a popular herb for the lymph, increasing flow, which helps to detoxify the body and reduce inflammation. Cleavers is another herb to try. Also known as clivers or goosegrass, it has been used for centuries and considered one of the best tonics to stimulate and help drain the lymphatic system. Coming from the Ayurvedic tradition is manjistha. Manjistha is an herb that is primarily utilized for its ability to de-stagnate lymph. It does this by detoxifying the tissue and supporting lymph flow. Finally, bupleurum (Chai Hu) and rehmannia (Sheng Di Huang) are herbal tonics known to treat lymphatic conditions in traditional Chinese medicine. We carry both of these at Tao to Wellness. These herbs are famous in Asia for maintaining the cleanliness of the lymphatic system and thus for naturally removing toxins from deep within the body on an on-going basis. 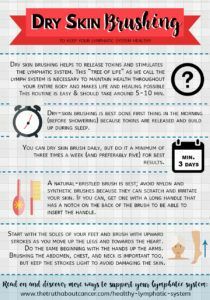 Dry skin brushing is a favorite Chinese medicine practice. It’s a technique commonly utilized in Ayurveda for assisting in lymphatic flow and boosting circulation. 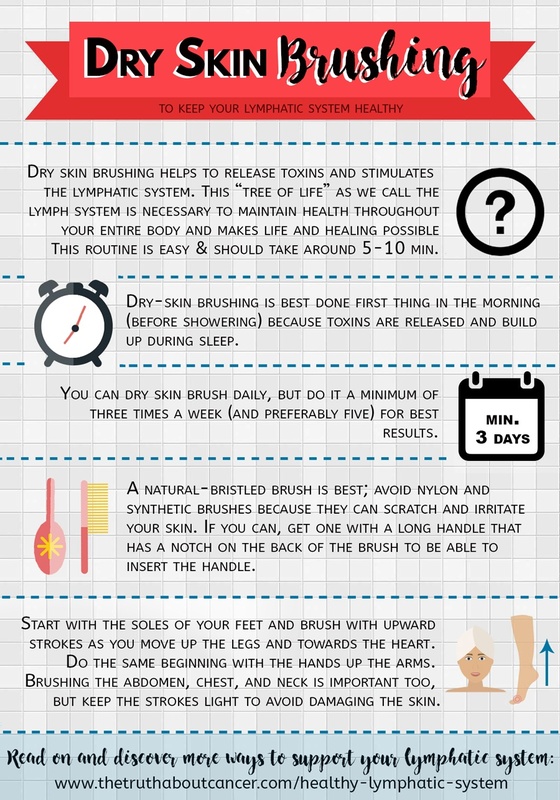 You simply take a dry brush with coarse bristle and brush the skin towards the heart. This stimulates the sweat glands, opens pores, and gets rid of dead skin cells. It also encourages the movement of lymph and blood in underlying organs and tissues of the body, which helps clear built-up toxins. As a result, it can be beneficial in improving skin conditions and reducing cellulite. Incorporating raw foods into the diet is an easy way to keep the lymphatic system healthy on an ongoing basis. Raw foods offer high levels of naturally occurring enzymes that break down toxic buildups and promote the clearance of harmful substances in the body. Eating foods raw, in particular fruits and vegetables, is also a great way to boost the water levels in the body. 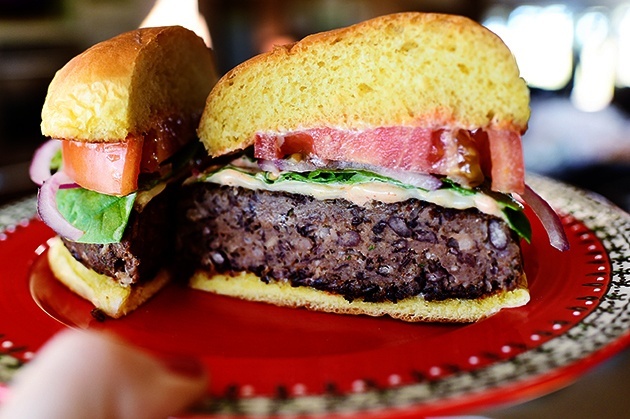 Finally, raw foods are primarily alkaline, which help neutralize harmful pathogens, lessening the burden on the lymph. Just like tight-fitting clothes, underwire bras can impede normal lymphatic flow. One of the largest clusters of lymph nodes is located in the armpit and upper chest area, and those nodes act as a source of drainage for the breast, arm, and upper chest. If a bra is too tight, or if the underwire is too restrictive (for most of us this is the case), the lymph is constricted, preventing normal drainage. Some researchers believe that over a period of time this can cause long-term impairment of the lymphatic function, and may contribute to an array of conditions including fibrocystic breast tissue, swollen lymph nodes and breast cancer. Yoga works in multiple ways to increase the flow of the lymph, relieving congestion and encouraging its detoxification. To start, inversions such as handstands, headstands and shoulder stands, and even placing the legs up the wall, reverse the effect of gravity. Much like the inversion table, this helps to drain the lymph towards the heart, escalating the rate in which it’s cleaned and filtered. Twists are also a great way to stimulate lymphatic flow. Through the practice of twisting the abdomen, the organs and muscles are squeezed, forcing the lymph out of the tissues. Finally, the natural dynamic flow through the yoga poses cause the muscles in the body to contract and relax, which is the primary way lymph moves through the body. This allows for a free flow of lymph, which prevents its stagnation and accumulation of toxins. https://www.berkeley-acupuncture.com/wp-content/uploads/2017/06/lymphatic-system...tao-to-wellness.jpg 330 620 Christina Martin https://www.berkeley-acupuncture.com/wp-content/uploads/2017/10/logo-jan9-new4.png Christina Martin2017-06-23 15:39:482017-10-06 17:33:16Tips to having an awesome lymphatic system!